Incoming Chief Adminstrative Officer for the Judicial Council of California will begin service on Dec 1, 2016. John F. Wordlaw, a state government executive with broad experience in policy development, budgeting, and technology, has been selected as the Judicial Council’s Chief Administrative Officer. 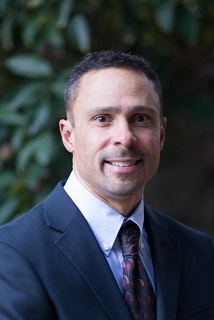 He is currently serving as chief deputy director of the Office of Systems Integration, which oversees information technology project management functions for departments within the California Health and Human Services Agency. Mr. Wordlaw will oversee the council’s operations for Budget Services, Branch Accounting and Procurement, Information Technology, Human Resources, and Administrative Support. He will begin December 1. The position has been vacant since January 2016. Before serving in the Office of Systems Integration, Mr. Wordlaw was assistant secretary with the Health and Human Services Agency. During his career, he also served in the Department of Corrections and Rehabilitation, Department of Finance, and Employment Development Department.